Sorry we’re now sold out (and exhausted!). 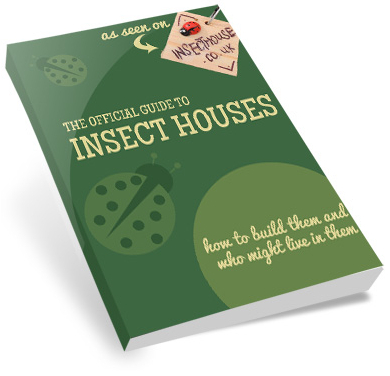 BUT we’ll be making our official bug houses again 2013! If you’d like to reserve one please contact us. We’ve put up as much information as we can on how to make your own insect house but if you haven’t got the time or materials to make one, we’d be delighted to sell you one of our originals. 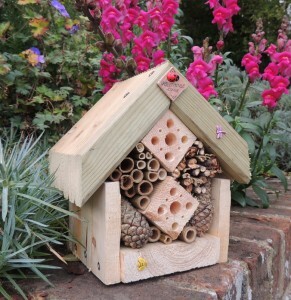 We make our insect houses to order so every one is unique and has a different combination of insect habitats. They’ll all be roughly 16cm W x 20cm H x 13cm D and weigh about 1.5kg so we’ll have to reflect that in the postage.